Spectacular single family home in the gated community of Las Ramblas. Two story house with 3 bedrooms and 2 1/2 bathrooms. Beautiful kitchen with stainless steal appliances and granite counter tops. Impact windows. A lot of space for storage. Tile throughout the first floor and carpet on second floor and stairs. One car garage. Corner lot with a large yard. Amenities include security 24 hrs, community pool, clubhouse, tennis court, exercise room. Excellent location. Close access to major hwy (836). 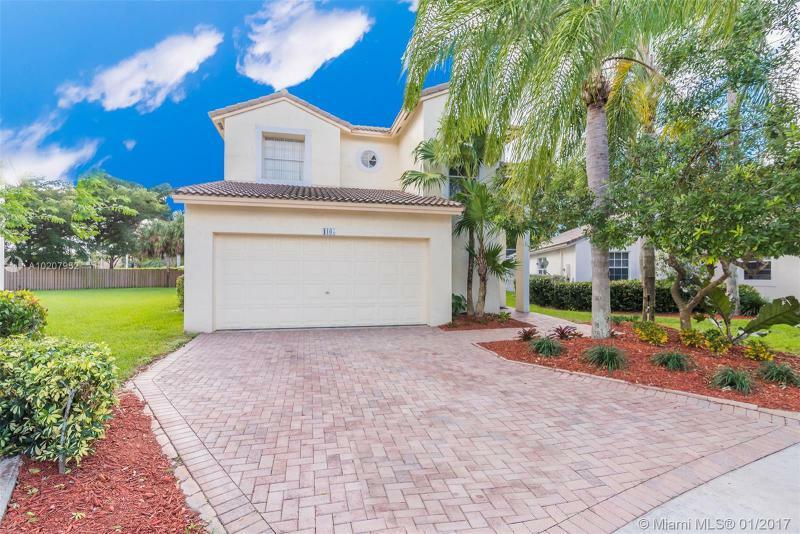 Beautiful single family home, located in brand new community in Kendall Area. Close to shopping centers, Grade A schools, Hospitals, and many other facilities. 2 houses in one. Main property 3 bedrooms, 3 full bathrooms, Family Room, Breakfast area, 2 car garage, etc. Studio apartment ideal for in-laws or college child; located on top of garage, with independent entrance full bathroom and FULLY EQUIPPED kitchen and laundry. Both kitchens w/wood cabinetry, SS Appliances, and granite counter tops. 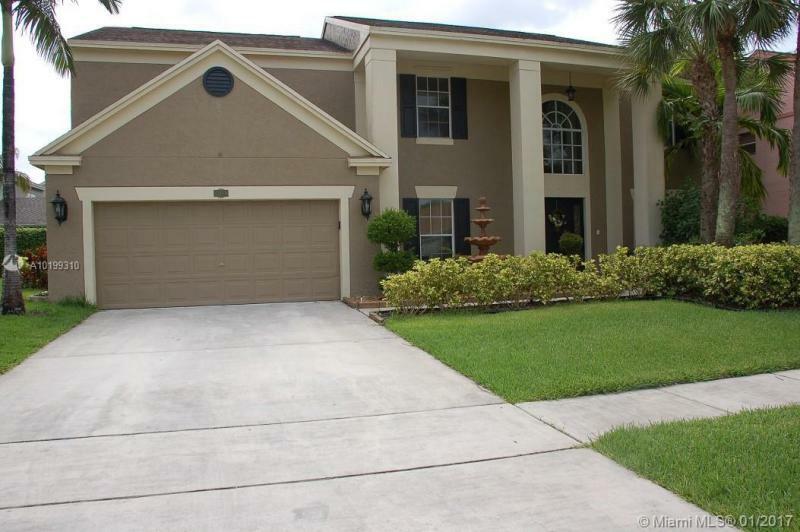 Big and spacious two story home 4/3 with a pool. One bathroom is on the first floor. All bedrooms and 2 bathrooms plus a loft upstairs. Perfect home for entertainment. Newer AC unit, plus a two car garage. Please see items excluded from sale. 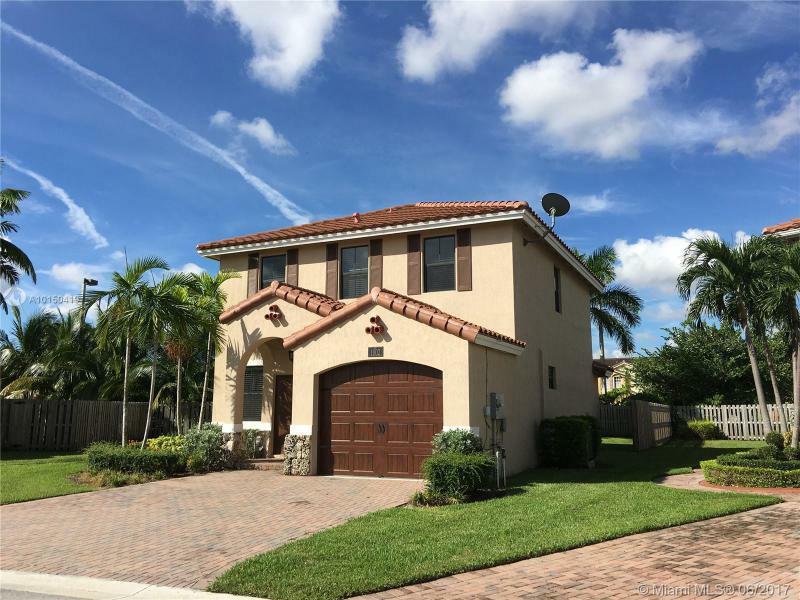 THIS 4 BEDROOM 2.5 BATH HOUSE IS ON A QUIET STREET ON A BEAUTIFUL CANAL IN JACARANDA LAKES IS THE PERFECT PLACE TO CALL HOME! COMPLETELY UPDATED WITH A DESIRABLE SPLIT FLOOR PLAN AND LARGE CANAL WITH PARK VIEW IS GREAT FOR ENTERTAINING. SS APPLIANCES, SOLID WOOD CABINETS, GRANITE COUNTER TOPS WITH CUSTOM BACK SPLASH. ALL BATHROOMS BEAUTIFULLY UPDATED, DARK WOOD FLOORS IN ALL THE BEDROOMS WITH A LARGE LAUNDRY ROOM WITH PLENTY OF STORAGE. 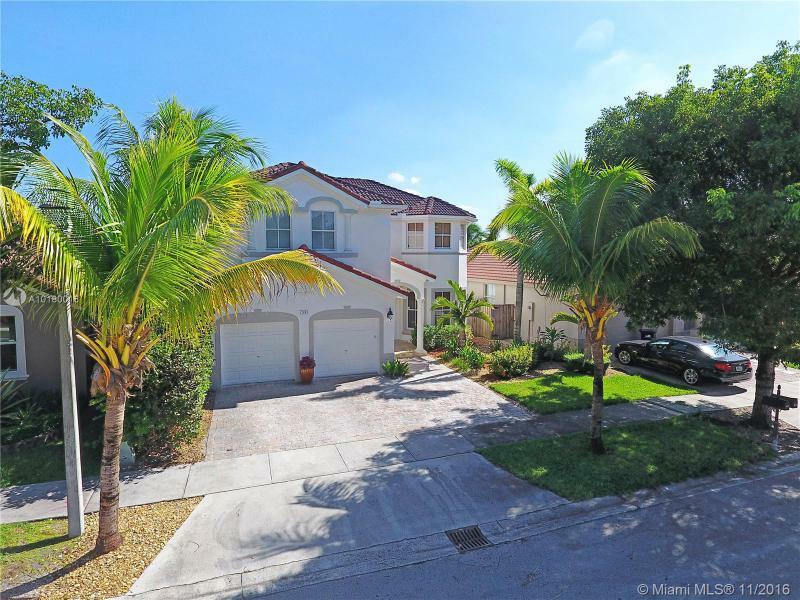 Updated 3 bedrooms, 2 bathrooms, 2 car garage pool/spa home in Miami Lakes. Updates includes granite counter tops in kitchen, stainless steel appliances, laminate wood floors in living area, new carpet in bedrooms, new light fixtures and hardware through out. Pool and spa has been resurfaced. Beautiful pool/patio area with bar and sink. Great for entertaining. ONE OF A KIND BOCA WINDS HOME FOR SALE! 4 BEDROOMS 2.5 BATHS W 2-CAR GARAGE. HUGE FENCED BACKYARD WITH LAKE VIEW. FULLY UPGRADED HOME! NEWER KITCHEN, TILE FLOORS DOWNSTAIRS AND WOOD FLOORS UPSTAIRS! KNOCK DOWN CEILINGS W CROWN MOLDING. HUGE MASTER WITH SITTING AREA AND LUXURIOUS MASTER BATHROOM WITH 10 FT MARBLE COUNTER TOPS. DUAL SINKS IN KIDS BATH A PLUS TOO! 2 COMMUNITY POOLS WITH ONE HEATED. LIGHTED BASKETBALL AND TENNIS COURTS. PETS ARE WELCOME!